Over 20 seasons of singing for Mississauga! 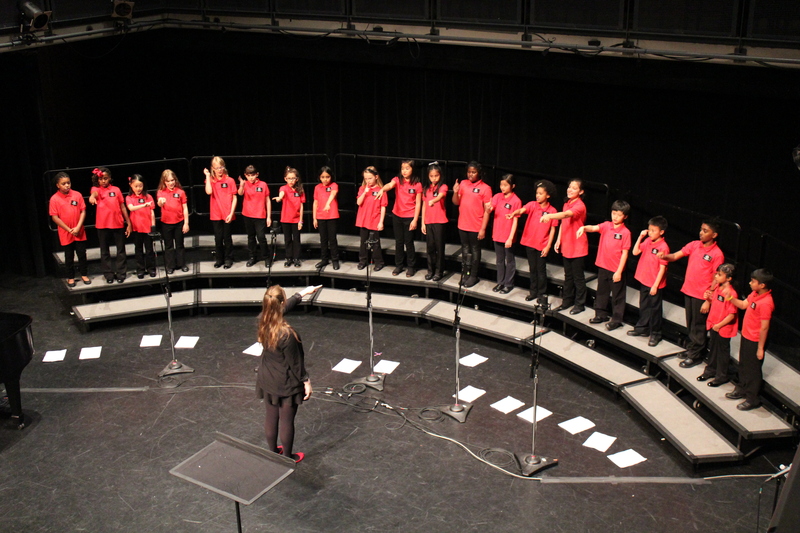 The Mississauga Festival Youth Choir is an inclusive, multi-cultural choral music education and performance program open to all youth in the community. We take pride in performing diverse repertoire from many cultures around the world, and in our ability to have fun as we learn. The MFYC was founded in 1997 by Deborah Bradley to provide choral music education opportunities for young people of all ages and backgrounds. Now under the direction of Katherine Dickey, the MFYC continues to offer multicultural music experience to young voices. The choir is open to youth, ages 7 to 19 and offers 4 instructional levels. We welcome treble voices and boys with changing voices. MFYC performs frequently in Mississauga and the surrounding area. We have sung for the Mississauga Arts Council Awards Gala Dinner, for her Worship, Mayor Hazel McCallion in honour of Mississauga Youth Week, for the Mayor’s Levee on New Year’s Day, at the Grand Opening of Mississauga Celebration Square and for many other special community events. The advanced choir tours in most years, and has sung in Niagara Falls, Ottawa, Montreal, New York City, Washington, D.C., and Santiago de Cuba. MFYC has won many honours at festivals over the years, and was a finalist for the MARTY awards in 2009. The Mississauga Festival Youth Choir is a registered not-for-profit charitable organization, an affiliate of the City of Mississauga, and a member of the Mississauga Arts Council and Choirs Ontario. We gratefully acknowledge the financial support of the City of Mississauga Office of Arts and Culture.